Project Skills Solutions is the leading data cabling company in Essex with over 12 years of delivering data cabling services. If you have a requirement for a new data network due to a business move or expansion then we can carry out a free survey and advise a structured cabling solution to meet you exact needs. 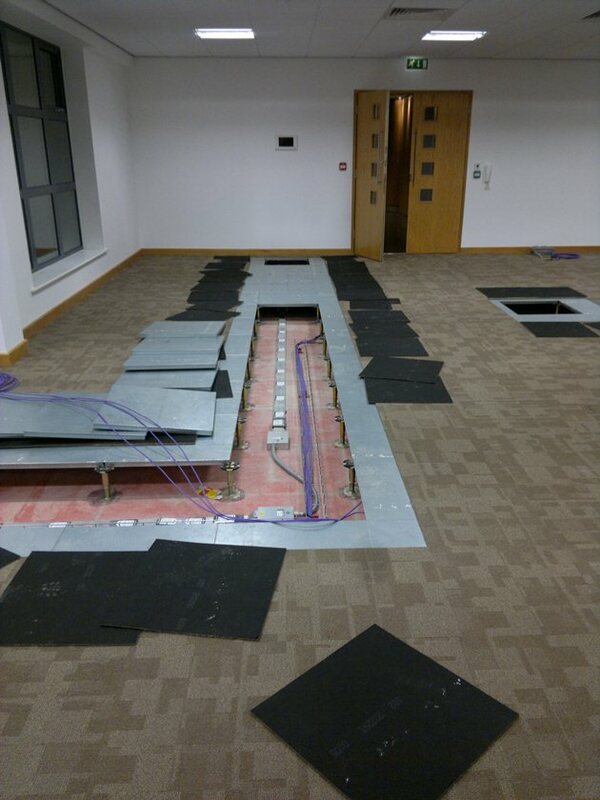 Our free surveys allow us to design the complete data cabling network to meet the building and your exact requirement for data cable cat5e, cat6, cat6a , fibre / outlet type floor, wall and position and all the required containment including Dado trunking, Underfloor & above ceiling tray or cable basket. Furthermore as a NICEIC electrical contractor we can include all the required electrical works if required.If your data communications network fails we can attend quickly, our network cabling services cover Essex, London and the southeast. Most data cable faults and breaks can be repaired onsite using materials our engineers stock at all times on their vans. If we do not have the network cabling materials we have suppliers across Essex and London allowing us to quickly get your system up and running and your company function again. If your business is relocating or reorganising then Project Skills Solutions can provide data cabling services from complete network installation to small moves and changes of data outlets & power. On completion our data cabling engineers will Fluke DTX test the network cabling to ensure peek performance. Additional services such as, electrical installation, HVAC and fibre allow a single company solution to most projects. Project Skills Solutions provide a range of cable services, installation, termination, repair and fibre optic. We have worked with many companies in the Essex area, take a look at our case studies. Click here to arrange a free survey or call to discuss your requirement.